Vitamin C plays a significant role in skin health due to its antioxidant properties; that’s why it is one beauty regimen that I couldn’t live without. The bad news is, commercial vitamin C serum are quite expensive, but they play a remarkable role in the repair and renewal process of skin cells, hence help keep our skin looking youthful and healthy. This potent serum is effective in stimulating collagen production to even out the skin tone, help minimize fine lines and scars as well as protect the skin against UV damage. Vitamin C serum – The idea is to improve your skin firmness and to achieve the ideal color, even if you are usually struggling with pigmentation problems. Isn’t it amazing when nature just works? Well, not that fast. Here’s the covert, in most cream and lotion that we buy from stores, once vitamin C is added, and it has a shelf life, it becomes inactive or unstable unless it is in its powder form. These forms of vitamin C are dormant and do not activate until assimilated by the skin. As a consequence, they do not break down and become unstable or inactive before you use it. 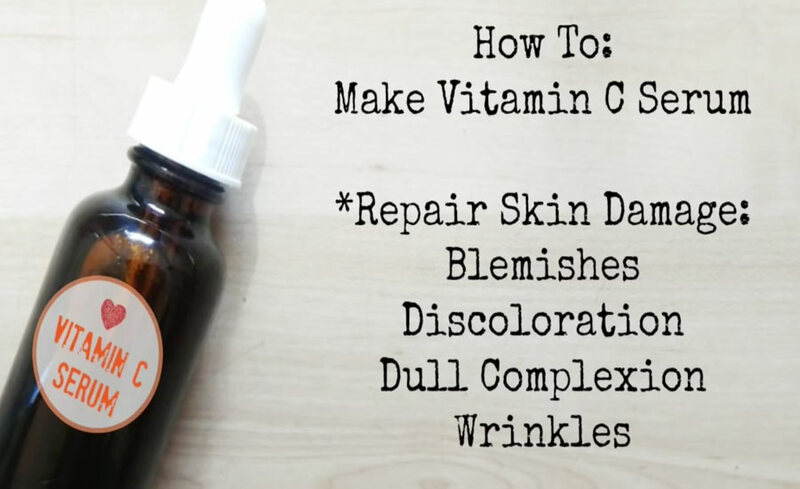 So our job is to apply vitamin C to our skin in its powder form as soon as we can so you need to come up with a solution by doing your own DIY anti-aging vitamin C serum. Vitamin C serum needs to be really fresh (I would say, the one that would last for a week) so it must be in its active form to reap the benefits. Just scoop it with your hands and apply it straight to face, neck and décolleté. You can use a serum bottle with a dropper for easy use and finish it up within a week or you can just put it in an empty lip balm container for daily use. If you are satisfied with the result, use it twice a day.